Happy Monday friends! 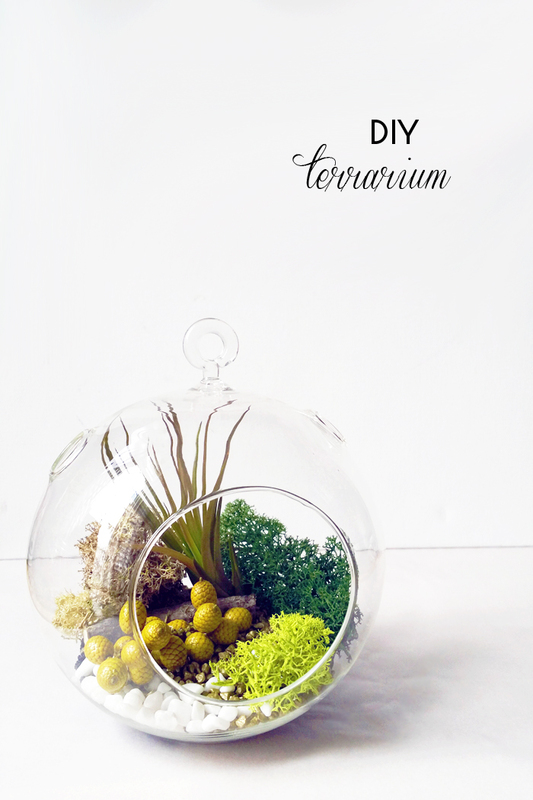 The weather over the weekend was fabulous and had me inspired to deconstruct this cute little DIY Spring terrarium I made late last week at an event with Crown Flora. I’m a huge fan of air plants, they are super low maintenance and such a perfect way to add life to the home without too much work. Much of the decorative materials I used can be purchased from a craft shop (heck, check the dollar store, lots of goodies there! ), with the exception of the terrarium glass dome and air plant. You’ll likely have to visit a floral/garden supplies shop for these speciality items. 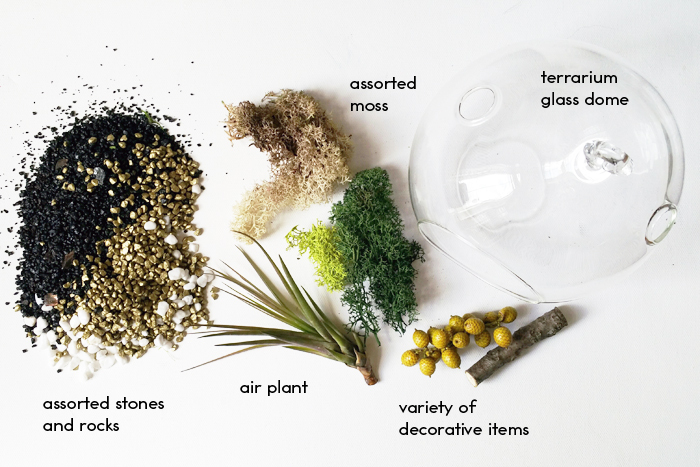 But free free to plant your air plant terrarium using other types of vases, there are so many options out there! 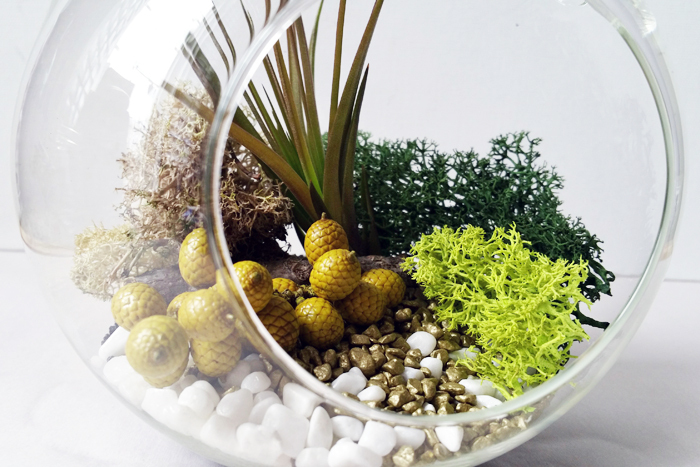 Keep read to learn how to make this super simple DIY Spring Terrarium! Step by Step: Secure the air plant in it’s place first inside the vase. Spoon assorted stones and rocks as a support anchor to the air plant. / Arrange a variety of moss around the base / Place remaining decorative items / Be creative and have fun! / To hang the vase, simply loop a ribbon, rope, or twine through the top hole and affix to the ceiling of your home with a nail or screw. Air plants prefer cooler temperatures and an atmosphere that is not too dry, they can survive typically from water mist. However, you will need to submerge the plan in water for two to three hours about every 2 weeks. On another note, between work and wedding planning, I’ve been undergoing some stress and so glad that my friends at Your Tea introduced me to their Happy Tea. Happy Tea is specifically designed to help with increasing mood, calming digestion, alleviating stress and easing anxiety. This organic, gluten free red tea includes ingredients such as chrysanthemum, barbary wolfberry fruit, hawthorn fruit, lemon and rose flower. I’ve tried Your Tea’s Tiny Teatox and must say, Happy Tea is now my new favourite. 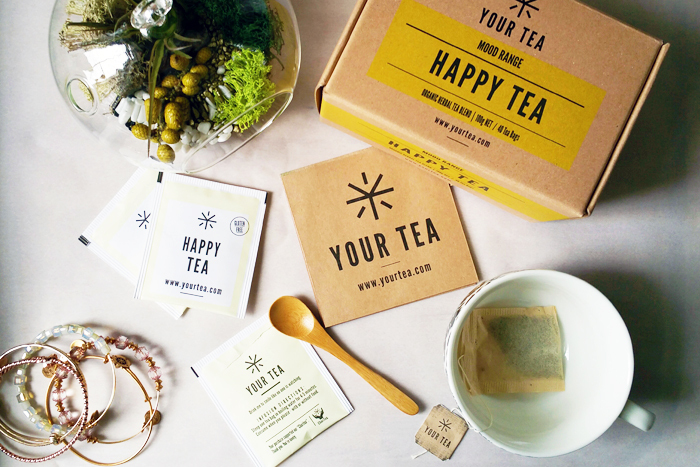 If you’re looking for safe and healthy dose of happiness, give this a try ($25.00 for a box of 40 tea bags).